Writing in the Margins: Connecting with God on the Pages of your Bible began with a prayer. After the death of Rich Gordon, his family entrusted me with his Bible. I quickly learned he was a margin writer. For years I thought about the notes and prayers he had written into scripture. I began to wonder how this scriptural discipline he loved, and was shaped by, might be shared with others so they could learn from him as well. When I started researching margin writing, I found plenty of examples of medieval illuminated manuscripts. As I poured through images on the Internet, there were a few examples of notes and prayers people had written into their Bibles. But it was rare to find any color. 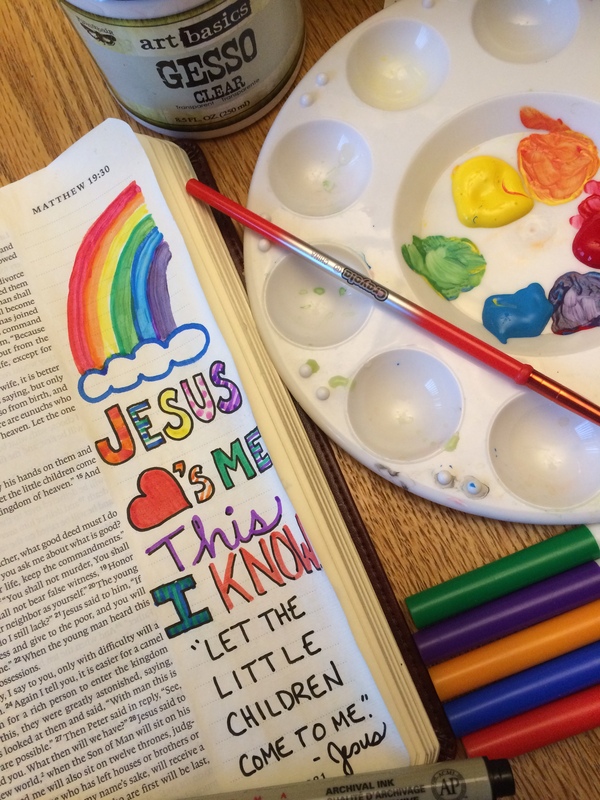 One young teen drew rainbows and birds into the Psalms. 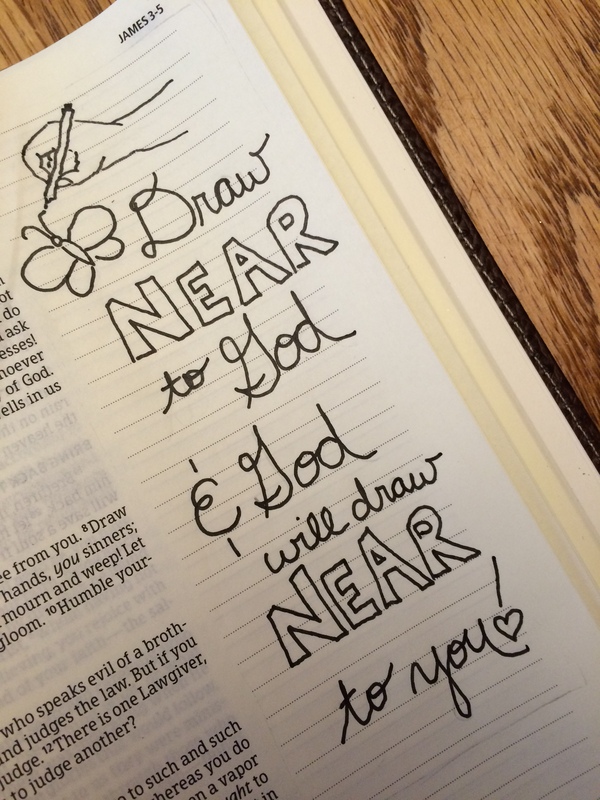 Another mom posted a photo of her toddler’s pink crayon scribbled into the mom’s devotional Bible. A precious mark, for sure. Now, when you Google “writing in the margins of your Bible,” you will discover an array of words, colors, prayers, images, artwork, paint, joy. You’ll find journalers and scrapbookers and margin writers who have discovered how the Holy Spirit can meet them in a creative process in the margins of their Bibles. Something has happened! Over five years ago, I wrote “The invitation of this book is, at its simplest, to pick up a pen and write in the blank spaces of your Bible.” Then I never could have imagined the many ways this practice would intersect people’s lives and desire for faith formation. The opportunities here for Christian education are endless. Consider the work of Adam Walker Cleaveland, who offers opportunities for coloring and scriptural engagement for children’s ministry at church and at home. 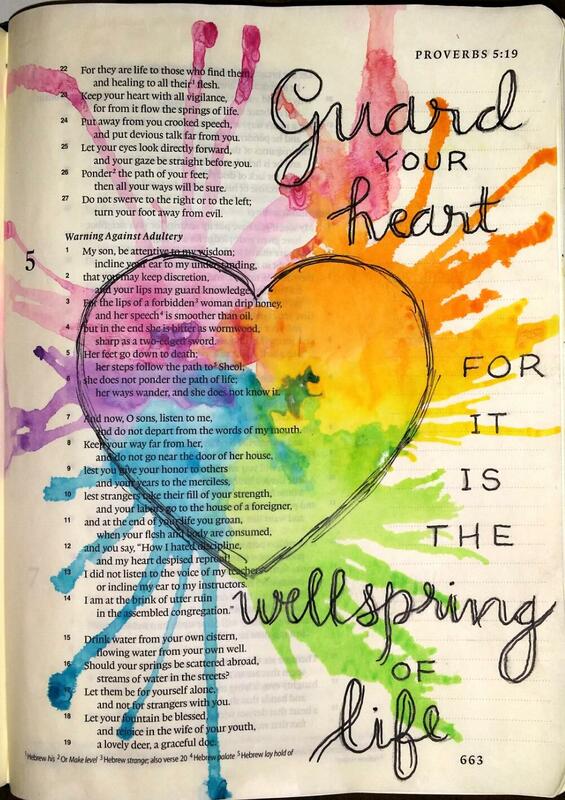 Melinda Ransdell and her husband incorporate Bible journaling into the weekly worship bulletin and sermon reflection at their church, the Confirmation class, and individual daily devotionals for their members. Sally Sulcove documents her Bible journaling and involvement in the life of her Presbyterian church on a personal blog where she provides equipping for folks new to the process. After struggling with Bible study in her personal life, Shanna Noel started scrapbooking and painting in the margins of her Bible. When she posted a picture to Pinterest of her work, the photo went viral and she woke up to an email inbox full of inquiries about her process. Now, she caretakes a Facebook community of over 30,000 Bible journalers and invites people to the process of illustrating their faith. Connie Denninger, a creative faith coach, recognizes this opportunity. She enjoys networking with women across the country through social media to deploy them to be digital missionaries creating small networks of Bible journalers. These creative havens provide a space for sharing information about the practice, discovering formation through the practice and living into transformation by way of the scriptural practices. Connie says this practice of margin writing provides a way to be “re-arranged.” She explains further, “Bible journaling and margin writing are a place for spiritual transformation where God at work in our lives can move all sorts of pieces around all at once.” We become shaped by the word. When I started exploring Bible margins a few years ago, I prayed the margins of Rich Gordon’s Bible might inspire and encourage others to continue the practice. I never imagined the transformation that would occur as margin writing, social media, scrapbooking and the adult coloring book craze ignited new practices of scriptural disciplines. My hope is that more hearts melt and the ice cracks as seekers discover creative faith, color-filled hope and illuminated love. The possibilities are endless. Sociologist of education, Pierre Beaudieu, views our “practices” as a palette of color wherein formation takes shape over time as layers of color and texture and saturation are added to the picture of our life of faith. I would love to hear from your work as “artists” serving as Christian educators. I would love to hear how artistic expression meets faith formation in your life and ministry and discover what pictures have emerged from the practices of faith in your community. 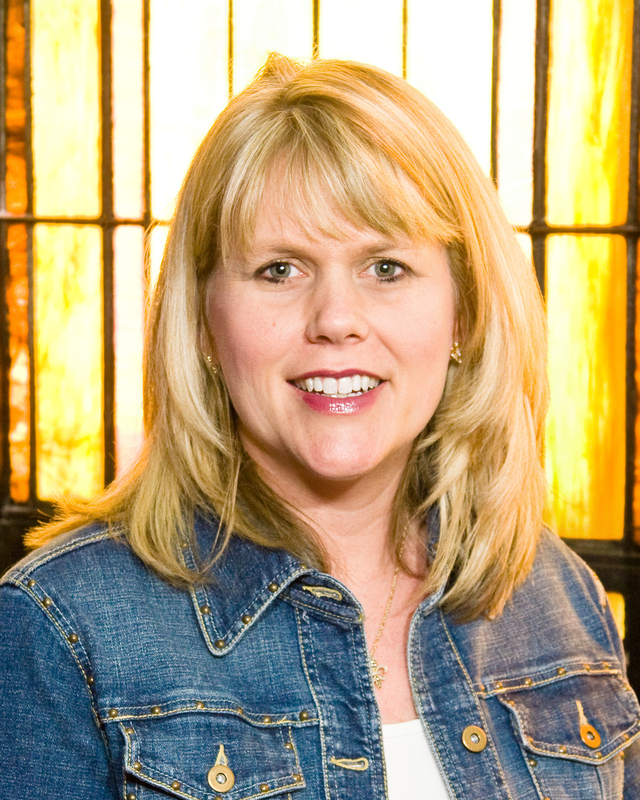 Lisa Nichols Hickman is a Presbyterian pastor at First Presbyterian Church in Sharon, PA and author of Writing in the Margins: Connecting with God on the Pages of Your Bible and Mercy and Melons: Praying the Alphabet. In her free time she loves to bike ride on the back roads of Amish country. You may reach her at [email protected] . During Lent this year we are sharing a series on The Artist as Educator. Look for posts from Theresa Cho, Allison Wehrung, Sybil MacBeth, and Carmel Tinnes.